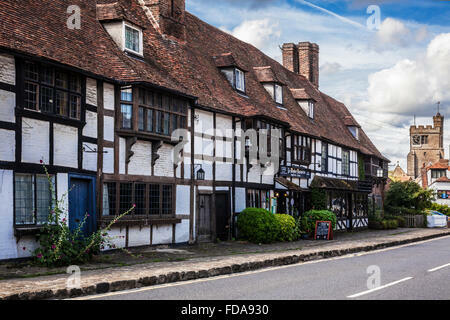 All Saints church and Ye Mayedes restaurant in the pretty village of Biddenden in Kent. 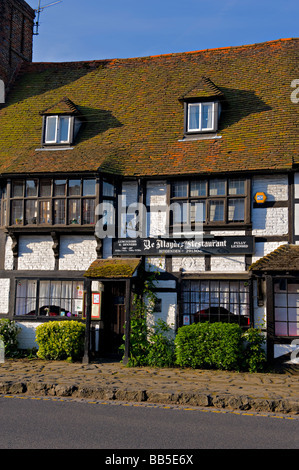 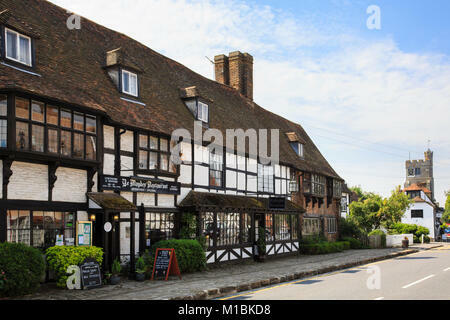 Ye Maydes Restaurant in Biddenden, Kent, UK. 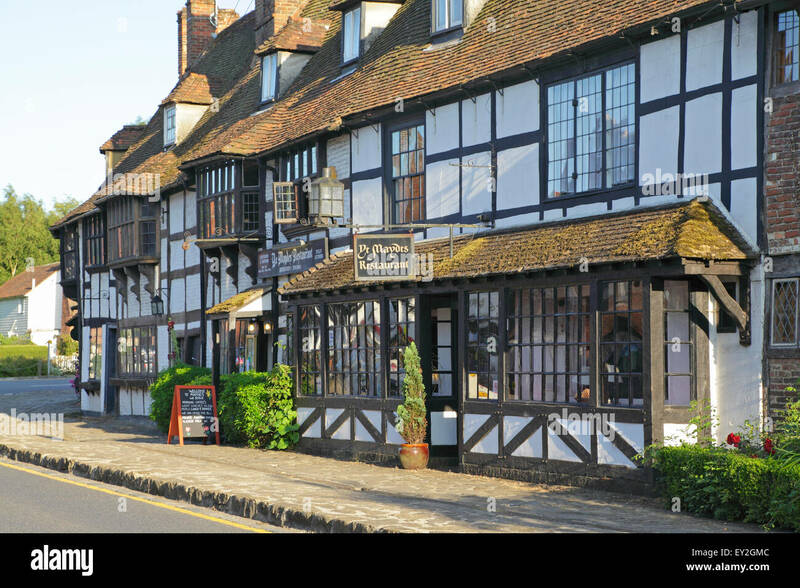 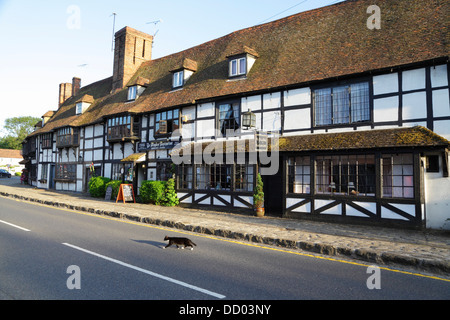 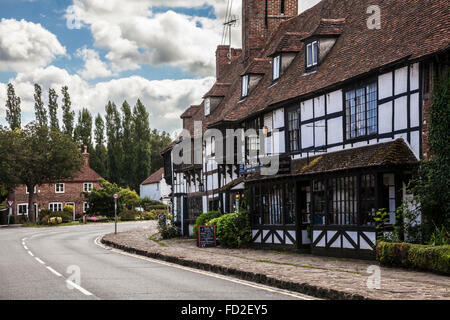 The main road through the pretty village of Biddenden in Kent.